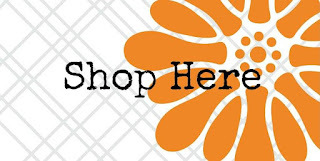 Welcome to the Journey Blog Hoppers Make Amazing Blog hop! ! I’m so happy to have you hoppin Along! If you have arrived from Heather"s blog, you’re on the right track! If Not, that’s ok too! Just continue the hop and you will come full circle! I'm sharing a card I made based on a September 19 FSJ blog post. 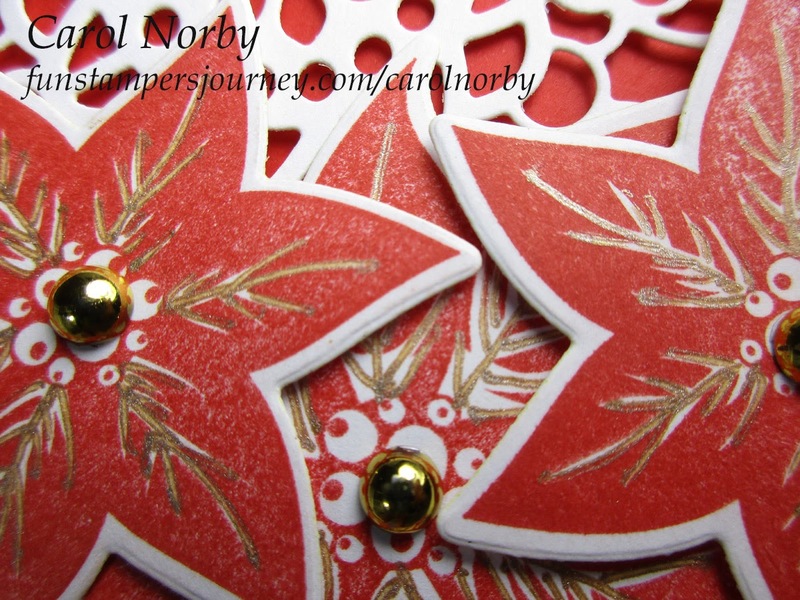 I changed it up to use what I have and make it a Christmas card for a November 17 class. Just click on the product to go to it in the Shopping area of my website. 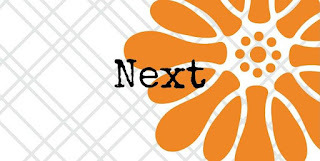 Thank you for stopping by today, be sure to head to Kim’s blog next. Me > you are here! Love your card Carol! I like the different way you used the Doily die; very cool! Lovely Christmas card! The poinsettias are beautiful! Great card! 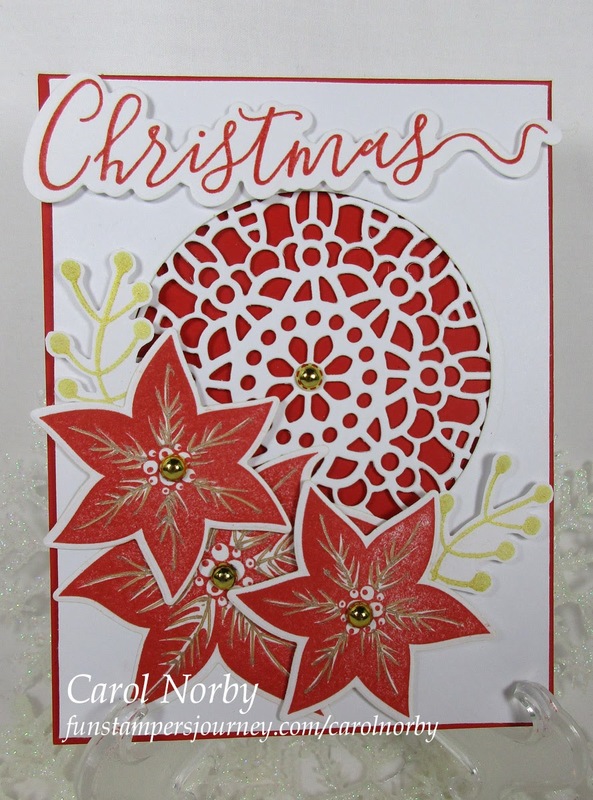 Love the addition of the doily die with the poinsettias, Red, gold and white is always a classy Christmas palette. That is a beautiful Christmas card. 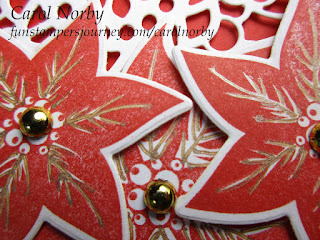 The pointsettias are gorgeous on that lace. Love the card! 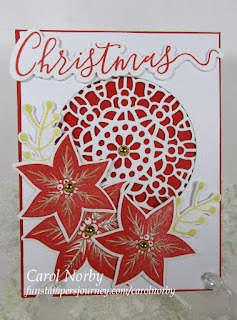 That doily die looks great with the poinsettias. Carol this card is stunning I love all of the elements.. Your card is so beautiful and stunning! Very creative use of the doily die. Love your creation!